CEX.IO, the operating exchange for the largest bitcoin mining pool Ghash.io, has issued a new statement to address community concerns regarding the growing amount of the pool’s bitcoin network hashing power. The post marks the first time since Ghash.io began rapidly approaching 50% of the network’s hashing power that CEX.IO has issued a statement on the mining pool’s growing size and influence over bitcoin’s core infrastructure. Should Ghash.io reach and maintain 51% of the bitcoin network, the mining pool would theoretically be able to perform certain actions uncontested, such as double spending individual bitcoins, preventing transaction confirmations and obstructing other miners and mining pools from profiting from valid blocks. Notably, however, CEX.IO also indicated that it is against “temporary solutions” to reducing the threat of a 51% attack, suggesting that should it embrace this type of solution, the underlying problem in the bitcoin network would not be removed. CEX.IO added: “It also does not address the core issue only pushing the problem a few weeks or months down the road when another pool or perhaps GHash.IO again grows towards 51%”. To guard against this threat, CEX.IO is proposing a summit of leading mining pools and the Bitcoin Foundation that will aim to collectively address the issue of 51% attacks. 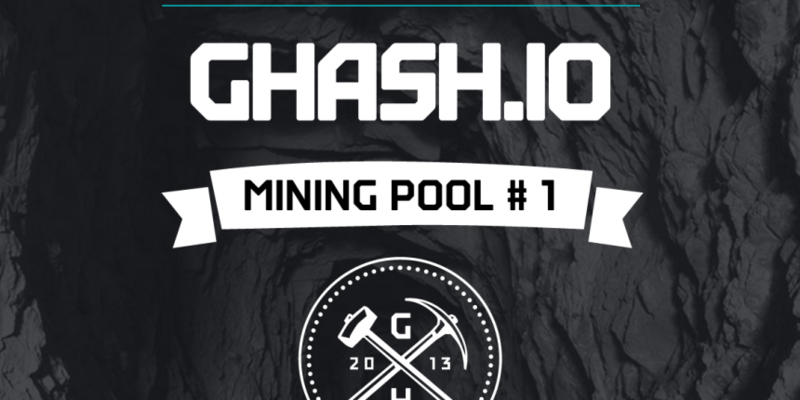 At press time, Ghash.io accounted for 31% of bitcoin’s total hash rate, according to Blockchain. Though details were scant, CEX.IO indicated it is in the process of contacting other leading mining pools and the Bitcoin Foundation, the industry’s leading trade group, to hold a meeting on the issue of 51% attacks. CEX.IO described the event as a “‘round table’ meeting of the key players, with the aim of discussing and negotiating collectively ways to address the decentralisation of mining as an industry”. The meeting could happen as soon as 10th-11th July, at the CoinSummit Conference in London, which will unite bitcoin industry leaders such as angel investor Roger Ver, BitGo CEO Will O’Brien and MaidSafe head David Irvine with payments experts such as Stripe’s Greg Brockman. CEX.IO took aim at its detractors who have suggested that the bitcoin ecosystem could benefit from it taking more immediate steps to discourage miners from joining the pool. Still, some in the industry have attempted to address the issue in time with recent community concerns. For example, the news follows the 13th June announcement by industrial mining facility operator BitFury that it would pull more than 1PH/s of mining power from the pool over such concerns. Reaction to the proposed plan was immediately vibrant on reddit, with detractors and proponents both sounding off on the latest development in what has become a highly publicized issue for bitcoin. The news of bitcoin’s latest perceived vulnerability was quickly seized by a litany of major news publications including The Guardian, TechCrunch and Ars Technica, among others.